When it comes to spicy foods, we love them! Jalapenos are one of our favorite ingredients in most of dishes. However, did you know they can be the star of the show too?! 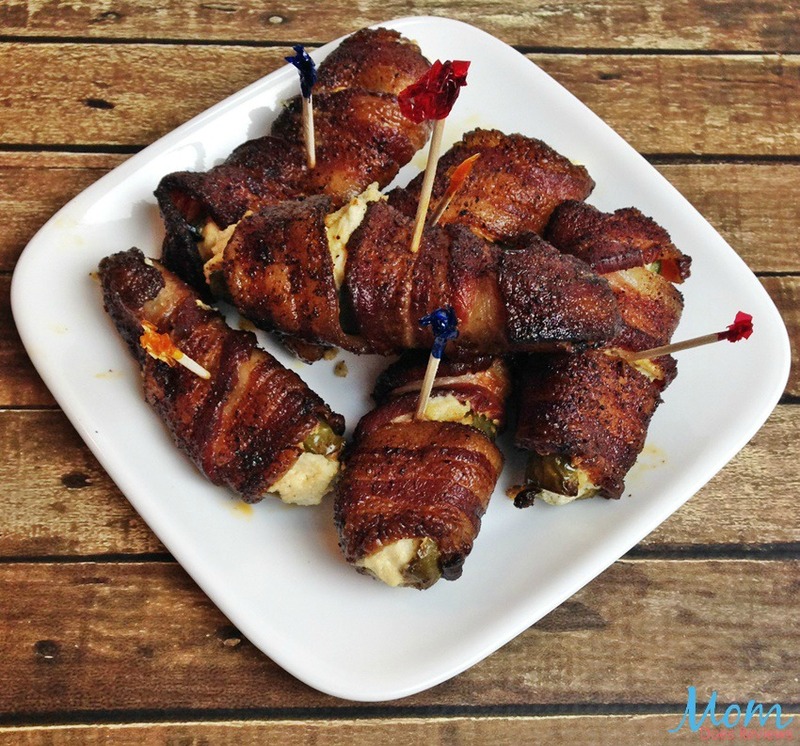 These delicious Bacon Wrapped Jalapeno Peppers are delicious served as a side dish or as an appetizer. 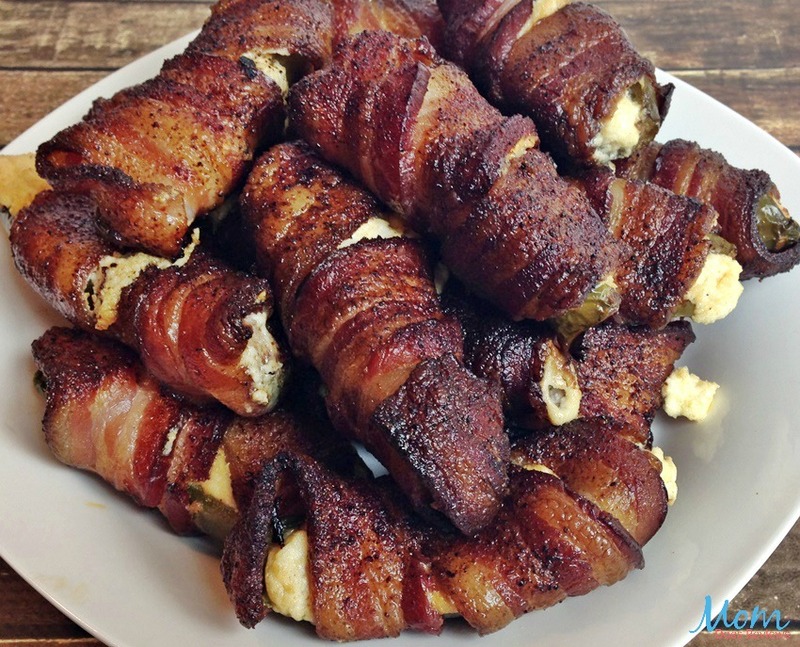 They make an awesome party food and they are fun finger foods for football Sundays! The only drawback is they are not for the kiddos that can’t handle the heat, so be warned. 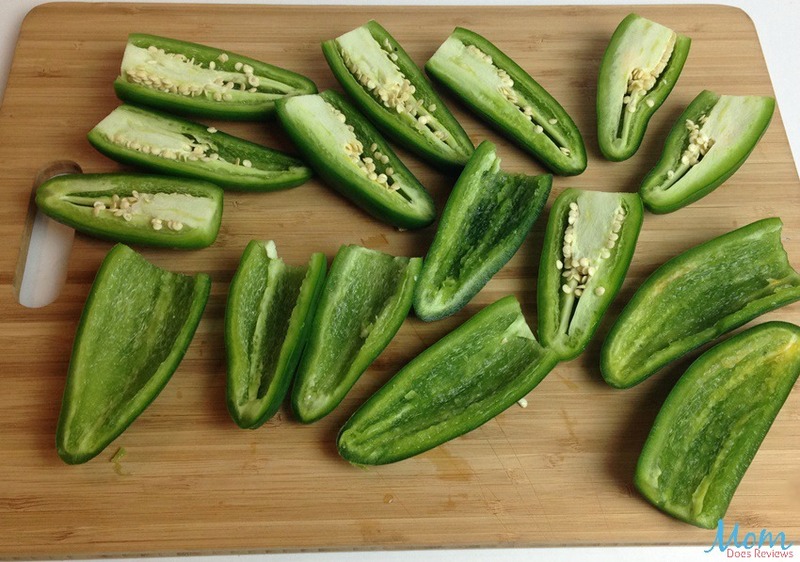 However, by removing the seeds from the jalapenos, it takes most of the heat away since that is where the heat comes from – just still not for little ones. But, oh do the adults love them! WOOT! The tasty little peppers will be the life of the party! Check out how easy they are to make! And, if you are a bacon lover, be sure and check out our easy and “oh so delicious” Bacon Wrapped Egg and Cheese Muffin Cups! 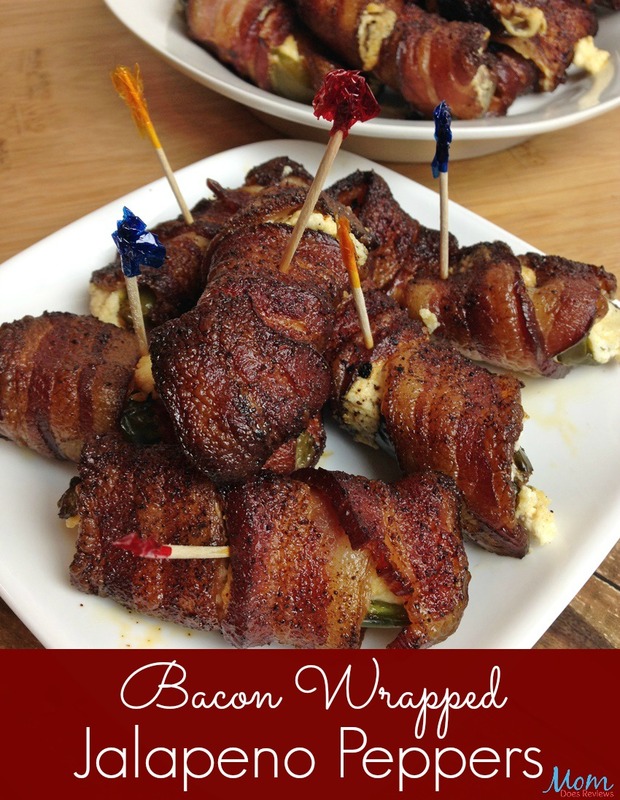 It’s a bacon lovers delight both kids and adults alike can enjoy! But first, let’s get on to this delicious recipe! Cut the cap off the peppers and slice in half length-wise with a sharp knife. Remove the seeds (the hotness comes from the seeds!). 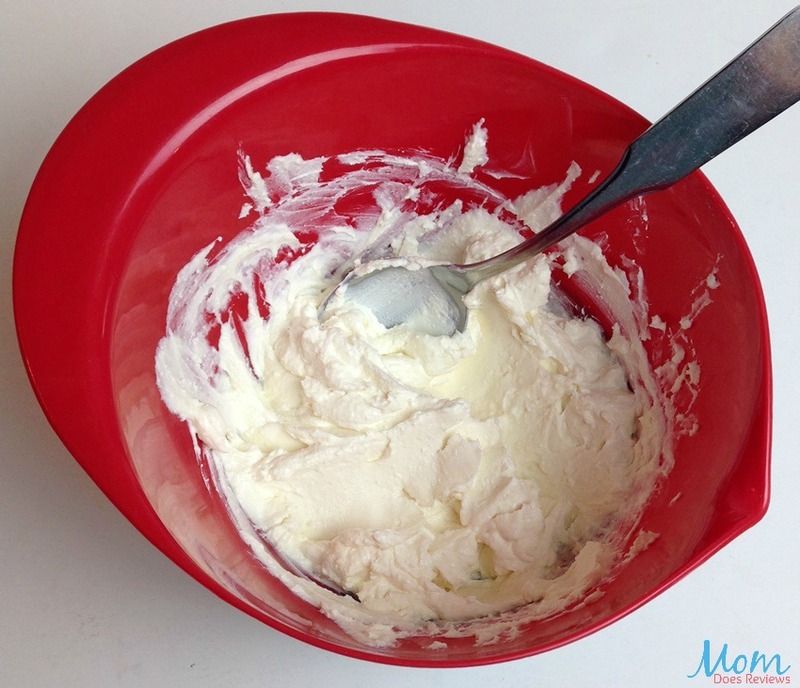 Place the Cream Cheese in a bowl and microwave approximately 30 seconds, enough to make it pliable. 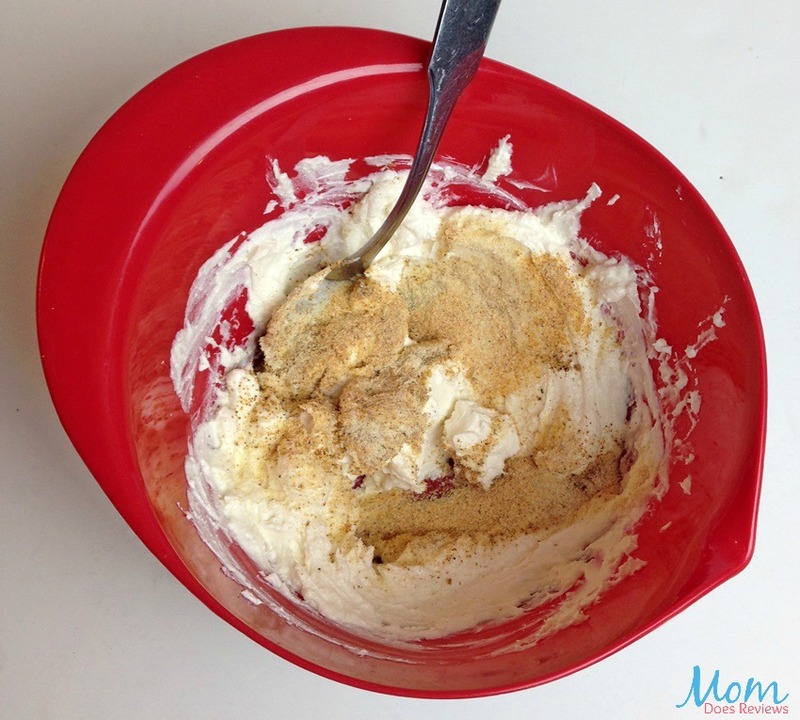 Add the Season All, onion powder and garlic powder to the cream cheese. Stir and combine well to incorporate seasonings. 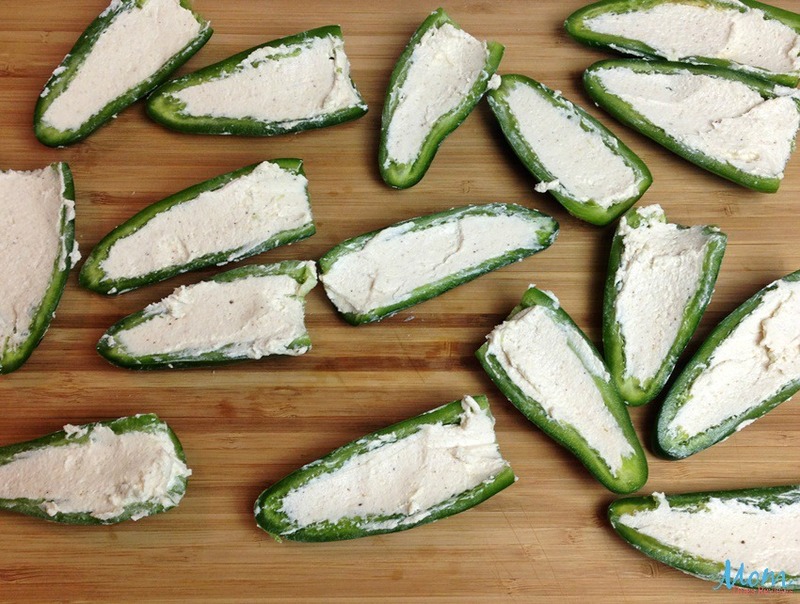 Using a spoon or spatula, stuff the sliced peppers with the cream cheese mixture. Make sure not to stuff above the height of the sides, as this will leak out when cooking! 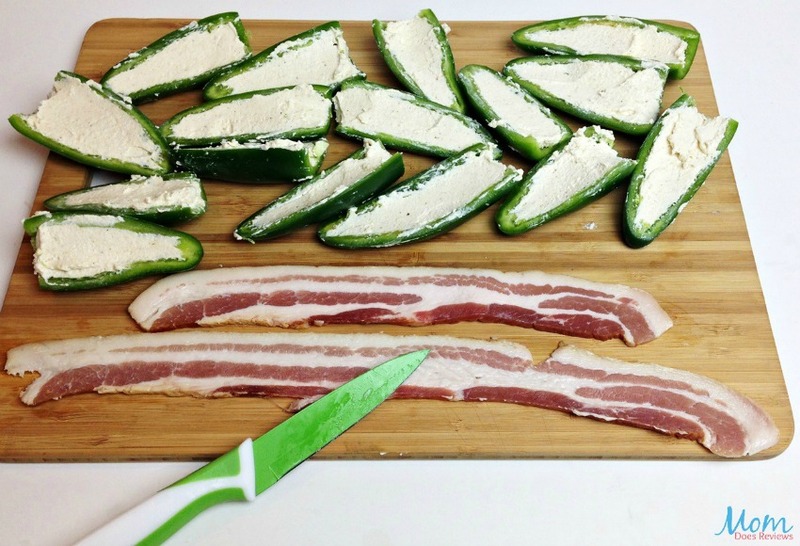 Once all the peppers are stuffed, you can begin wrapping in the bacon – 1 slice per half of jalapeno. If you need to stretch the bacon to make it longer, lay it on a cutting board and using the backside of a knife gently smooth it along it’s length. Wrap around the pepper from the large end to the small tip. Insert the tip end of the pepper through the bacon to secure. DO NOT TURN PEPPERS DURING COOKING! Once done, remove from grill or oven and allow to rest for a few minutes. If serving as appetizers or party food, insert a festive toothpick for a fun festive touch! Note: Recipe is easily adjustable for different amounts of peppers and very forgiving on spices to taste. 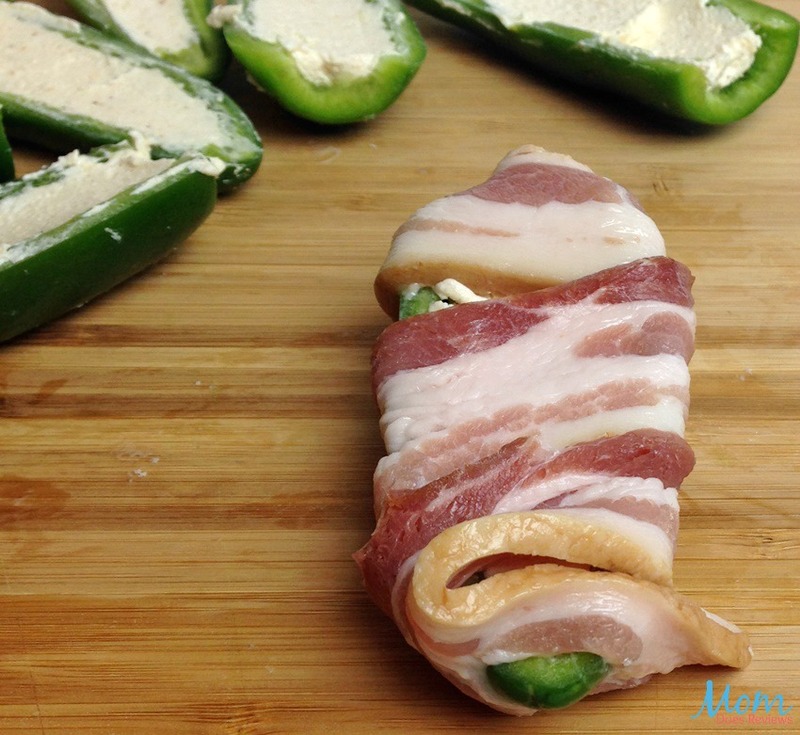 Once all the peppers are stuffed, you can begin wrapping in the bacon - 1 slice per half of jalapeno. If you need to stretch the bacon to make it longer, lay it on a cutting board and using the backside of a knife gently smooth it along it's length. Sprinkle with your favorite grilling rub and grill for approximately one hour or until bacon is done. These can also be done in the oven. Place on cookie sheet and bake at 350 degrees for approximately 40-45 mins. Then, turn the broiler on for the last 2-3 mins to crisp up and brown the bacon. Recipe is easily adjustable for different amounts of peppers and very forgiving on spices to taste. 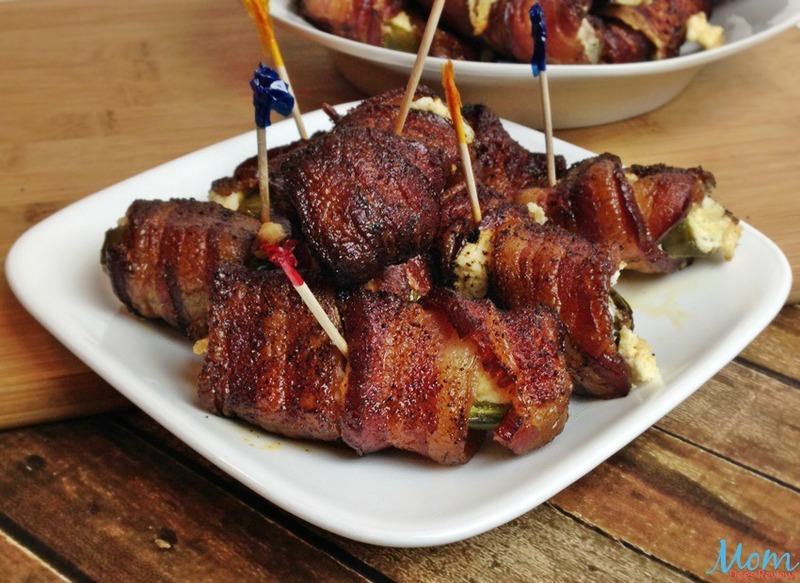 Pin our Bacon Wrapped Jalapeno Peppers!